Transform summer-weary skin with a cooling mist of deep hydration to plump, smooth and moisturize for a full 24 hours, while instantly relieving an overheated face and body. Natural humectants draw and seal in moisture, for a healthier, younger looking complexion. 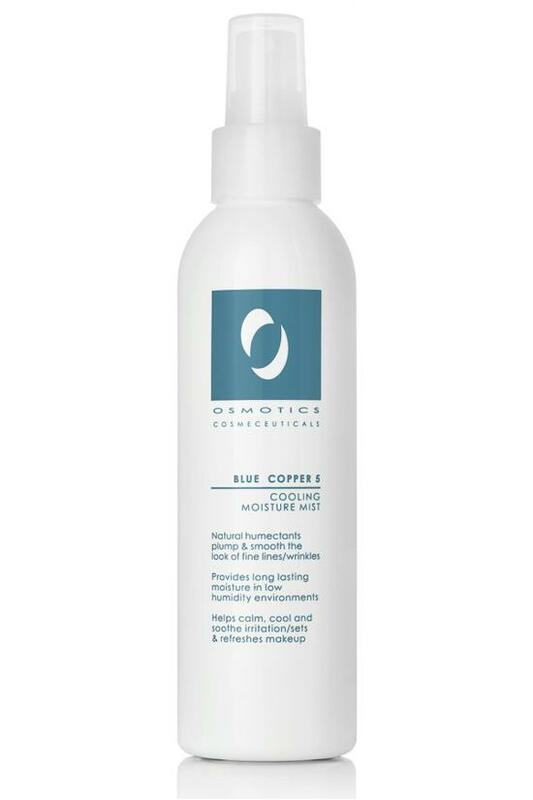 Blue Copper and Wild Pansy Extracts calm and soothe redness and irritation from overexposure to sun, wind and drying climates. Rejuvenates dry, dull skin and makes a perfect companion for poolside or beach. A quick spritz plumps fine lines and wrinkles & even sets your makeup! 6 fl. oz. Spray liberally over entire face and throat after cleansing or anytime skin needs instant hydration. To set makeup, lightly mist over entire face for natural, radiance. Works beautifully on all skin types. Water, Glycerin, Butylene Glycol, Enteromorpha Compressa Extract, Malachite Extract, Hydrolyzed Viola tricolor Extract, Sodium Hyaluronate, Saccharide Isomerate, Oleth-10, Lavandula Angustifolia (Lavender) Oil, Potassium Sorbate, Phenoxyethanol, Ethylhexylglycerin, Citric Acid.